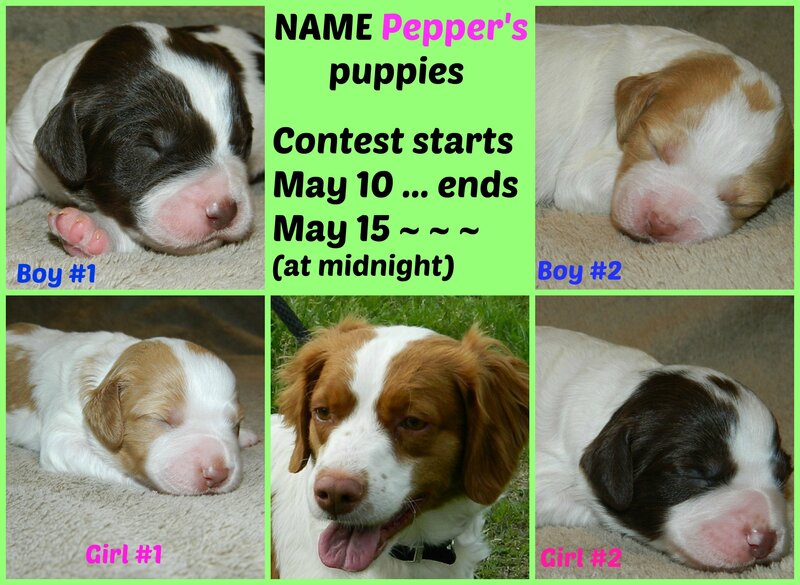 Enter to win a chance to name Pepper’s Puppies! You must submit your names in a group of four (2 Girls and 2 Boys). The person whose group is picked will win a BRIT gift basket! The winner will be announced, via our Facebook Page.